The naturally occurring silica powder (i.e. SiO2) has purity more than 99.7% and thus in our laboratories we process it further to impart more whiteness up to 96%. Hence in turn our quality product has wide applications. 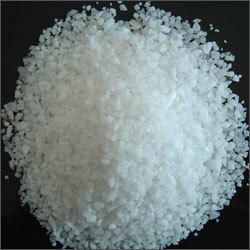 Quartz Silica Powder is natural silica found in purity of more than 99.7% SiO2. This silica powder is available in snow white color which has 96% whiteness in ‘A’ Grade silica. Looking for “Quartz Silica Powder”?